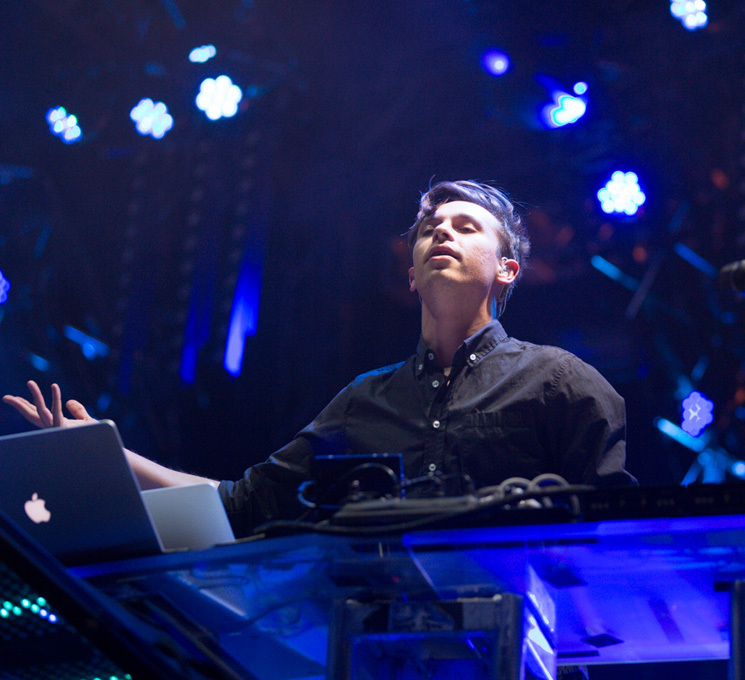 There was a big buzz around Sydney, Australia's electronic prodigy Flume, closing out the first night of the Sasquatch! festival, and the man born Harley Edward Streten delivered. As the downtempo voice of Chet Faker poured through the speakers on the track "Left Alone," from Flume's 2012 self-titled debut, fans let off their glow stick bombs — throwing hundreds of glow sticks into the air. The crowd response was massive and very accommodating. Even when the show went sour technically — the sound completely cut out mid-track — Streten kept the audience with him while the sound crew rectified the problem. The shows visuals were outstanding, and the laser light show in the cool evening mist provided a mystical atmosphere befitting of Flumes flowing tracks. The grinding whines of "Sleepless" and a great remix of Lorde's track "Tennis Courts" kept the audience dancing through the show's close. Flume's mellow electronic mixes and wild light show are definitely worth a look and a listen. Although repetitive at times, Flume impressed current fans and converted non-believers alike.